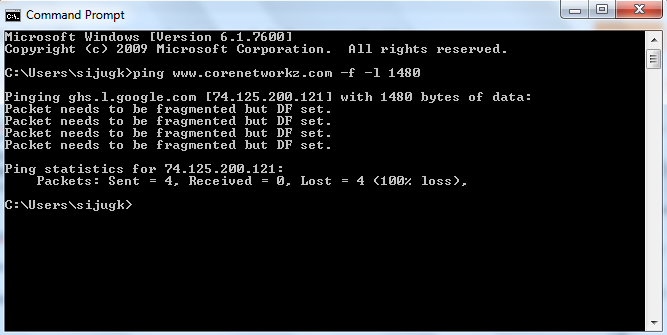 -l is used to switch the default ping packet size. You can learn more about it by following the link below. -f ensures the packets send are not fragmented. See the test result below. If the packet size you have entered is too high for your network, you will get the message Packet needs to be fragmented but DF set. In order to solve the error, Packet needs to be fragmented but DF set, visit the link below and follow the steps mentioned on the tutorial.